Air duct cleaning is the process of cleaning the air ways of the heating and air system. Each furnace or heat pump acts as the main unit, blowing hot or cold air into the ducts along with dust and other contaminates. Those particles build up in the air ducts, clinging to the inner walls of the air system, contaminating your indoor air quality. When a duct system becomes contaminated, its time for a professional air duct cleaning company to rehabilitate your indoor environment. Duct cleaning is really the only way to get into the air ways and restoring them without replacing them. 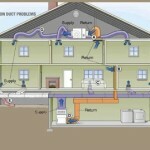 Professional air duct cleaning always begin with a thorough evaluation of the air system. Our trained certified technicians will guide you through the cleaning process from beginning to end. 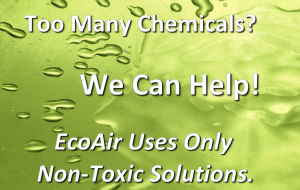 At EcoAir Care, we utilize specialized tools to clean and remove contaminates from the air ducts. Using HEPA filtration vacuums means non of the contaminates will go back in to the air after removal. In a standard duct cleaning the ducts will be opened where a specific type of vacuum is then used to extract debris, dirt, dust or mold. By inducing a negative air pressure, the technician can then agitate the ducts using mechanical means thereby dislodging debris for removal. 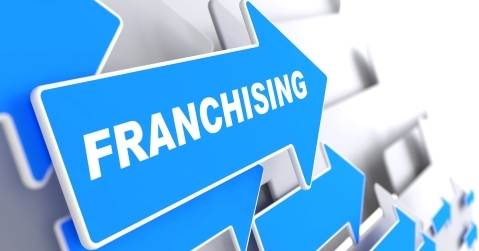 It is an effective process that will get the best results. This is all accomplished without contaminating any portion of the home due to HEPA filtration. In some instances a chemical biocide can be applied as a way to eradicate mold or mildew growth. Coils, housings and drain tubes as well as fans should all be cleaned periodically to ensure a completely effective cleaning process. Because everything from pet dander to mold and dust mites can accumulate in HVAC ducting, it is important to clean ducts on a regular basis. In addition, condensation and moisture can lead to the formation of mold and mildew. All of this can have a big effect on health and can intensify conditions like asthma or allergies. Make sure to ask about our deep cleaning packages that include mold removal and sanitation. Do I Need The Complete Duct System Cleaned? In essence air duct cleaning involves far more than simply cleaning the ducts in a typical air conditioning or heating system. When these duct cleaning services are done correctly, it usually involves cleaning the complete system, for either heating or cooling or when heating and cooling are combined that complete system. Cleaning ducts can involve an annual preventative maintenance program or can involve cleaning a result of some type of event happening that requires this type of cleaning. From detected mold in ducts to residual dust in ducts due to construction and even in cases where there has been water or fire damage, air duct cleaning is an important service that must not be ignored.